As a student of nutrition, I know a lot about what people eat. It wasn’t until I visited a dairy farm that I learned what cows eat and how well they eat while producing the milk and dairy products we love. During my time on the farm, I discovered three ways that cows set a good example for the rest of us during National Nutrition Month and beyond. When was the last time you saw a dietitian? Cow nutritionists visit dairy farms regularly and observe the herds, analyze the nutritional quality of their feed, and see how much milk the cows are producing. Using that information, a cow nutritionist can change the components of their feed to make the herd as healthy as possible. Cows get a specific mix of grasses, grains, and byproducts from food processing to support a balanced diet. 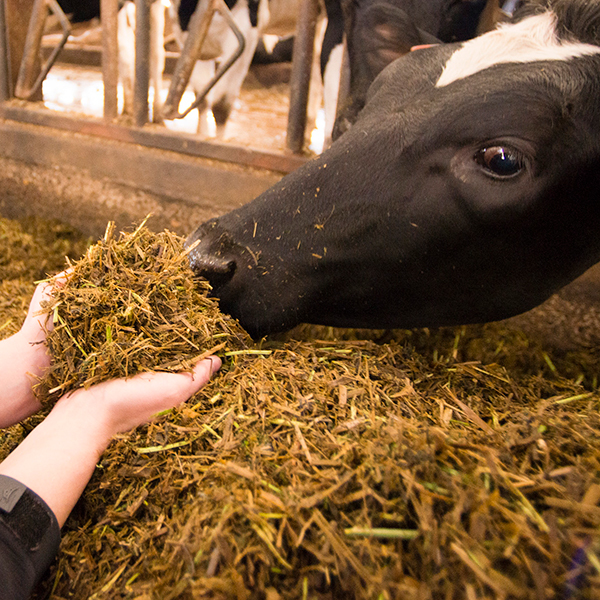 Cow nutritionists ensure the feed ingredients are in the right amounts for optimal cow health and milk production. What happens if the cows get off track? Here’s Derrick Josi from Wilsonview Dairy having a talk with his Jersey cows about the importance of following a nutritious diet and not eating empty calories. Almond hulls and citrus pulp are some of the byproducts from food production that are added to cow feed. Humans can’t digest these things, yet they are full of fiber and other nutrients. Instead of going to waste, cows can digest them and convert them into nutritious milk. These are just a few of the ways cows stay at their best thanks to a healthy diet. Dairy farmers and their nutritionists are helping keep their herds healthy, making milk more efficiently, and managing their farms more sustainably. Fresh off of the school bus, wide-eyed youngsters set foot on a dairy farm for the very first time. They’re taking in all of the sights, and yes, the smells. The farmer welcomes the students to her dairy and asks, “Do you know where milk comes from? This response shouldn’t come as a surprise when you consider that 98% of the U.S. population are generations removed from the farm. 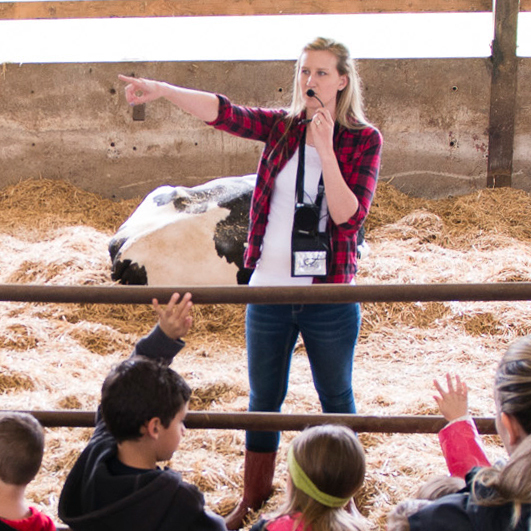 Tours are an excellent way to better inform and educate students about something that directly affects them and their families every day: where their food comes from. 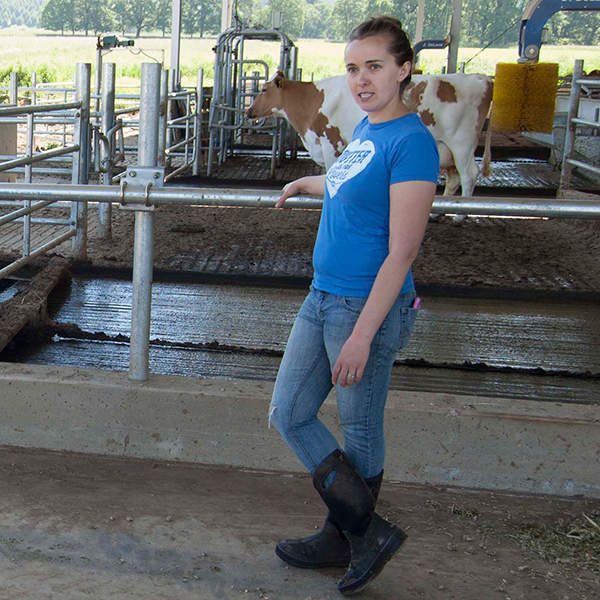 As you might imagine, dairy farm tours can also be a source of humor, so we asked several Oregon dairy farmers and tour guides to tell us about some of the funny things they’ve heard or experienced while leading a tour. Jamie and her dog, Olive, recently hosted a large group including students who had never set foot on a farm, let alone a dairy farm. Like a quick draw in the Old West, these middle schoolers quickly reached for their smartphones to snap photos and video along the way. 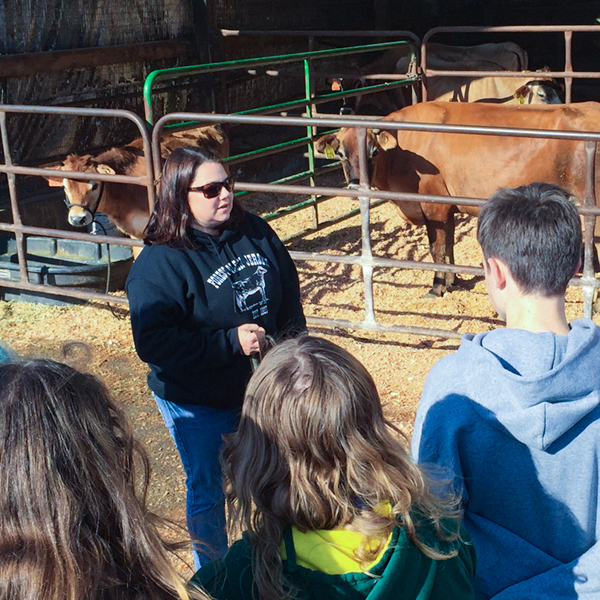 Students were amazed that manure is beneficial as a source of energy, bedding and fertilizer. “So wait, cow poop can make electricity and be sold for money?” a student asked. His serious question quickly devolved into laughter as a cow demonstrated the first step of that process. “They love to tell me stories about their mom’s, cousin’s, friend’s cow that they saw once,” said Stacy. Kids have told her they want to live at her dairy and become a farmer. They also want to bring calves home … until they’re reminded that they soon turn in to large cows. “On one of our tours, a little boy told me a cow joke,” said Casey. “What do you call a cow that has had her baby? De-calf-inated! ”Many of the kids ask to see the brown cows that make the chocolate milk, she said, but followed that it isn’t just the kids who ask funny questions. 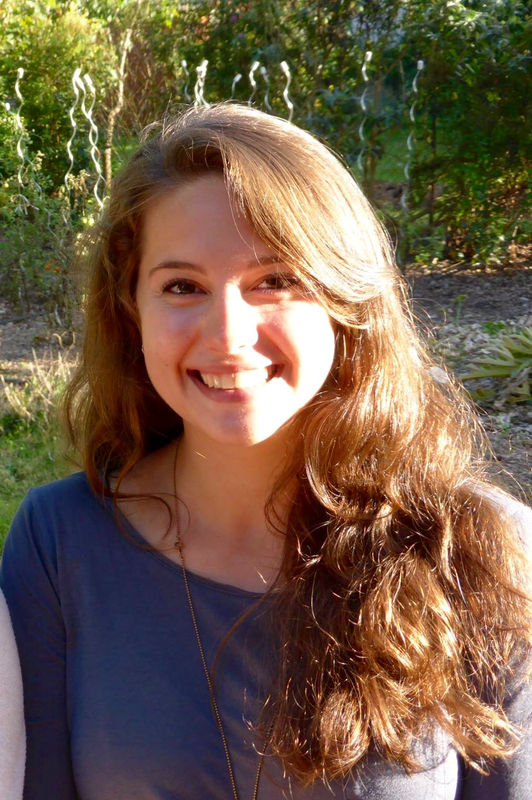 Beyond the innocent and funny questions like whether boy cows make milk, Melissa expressed concern that students often echo some bizarre myths about dairy farming spread on social media and blog posts. Catch a glimpse of some children discovering a dairy farm for the very first time in the video below. After serving three generations of the Mann family, the old milking parlor at the Abiqua Acres dairy farm had seen better days. So when Alan and Barbara Manns’ daughter Darleen Sichley and her husband, Ben, decided to join the family operation, it was time to upgrade. The Silverton, Oregon, dairy today is among a small, but growing number of Western U.S. dairies using robotic milking systems. The 95-cow Guernsey dairy installed two robotic milkers in January 2017. Robotic milking systems are employed on less than two percent of U.S. dairies, said Kurt Mizee, president of Priority Robotics in Tillamook, Oregon, who, with his father, Bart Mizee operates Tilla-Bay Farms in Tillamook. But the technology is catching on rapidly among big and small dairies. “The adoption is definitely ramping up,” said Mizee, who runs three robotic milkers on his fourth-generation Tillamook dairy, including two he installed in 2011, the first ever installed in the Western U.S. 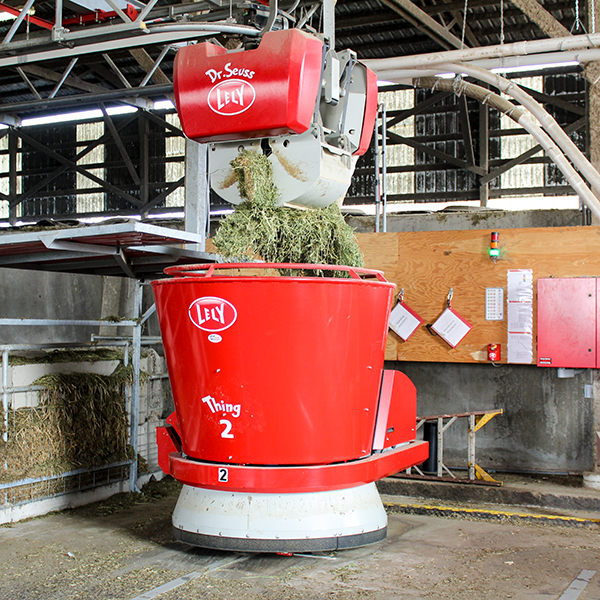 Dairy farmers choose to go robotic for several reasons, Mizee said. Some, such as the owners of Abiqua Acres, chose robotics primarily for the scheduling flexibility the systems provide. Whatever the initial motivation, cows, it turns out, by all measurable standards, appear to love the systems. Chamberlain also discovered another benefit since installing the systems in July 2016. “We are actually out with the cows more now that we were, and that is what we enjoy doing,” he said. Robotics are just one of many ways that modern dairy farmers are evolving, sources said. 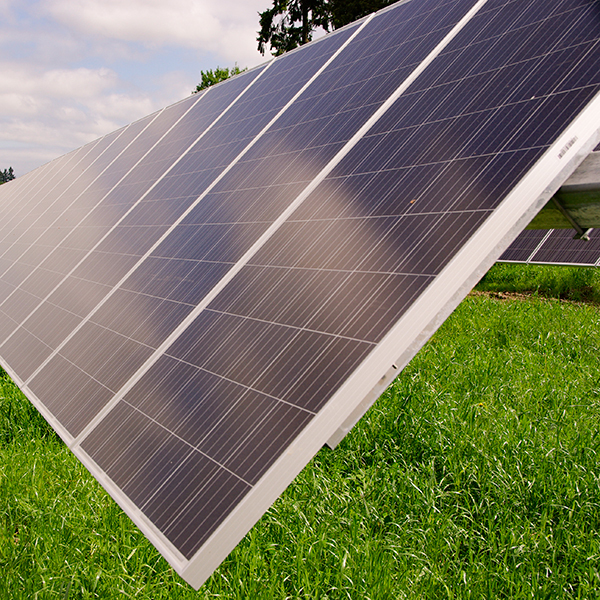 Automated feeders, solar panels, methane digesters, GPS driven tractors and computerized irrigation are other examples of high-tech influence transforming this otherwise traditional industry. 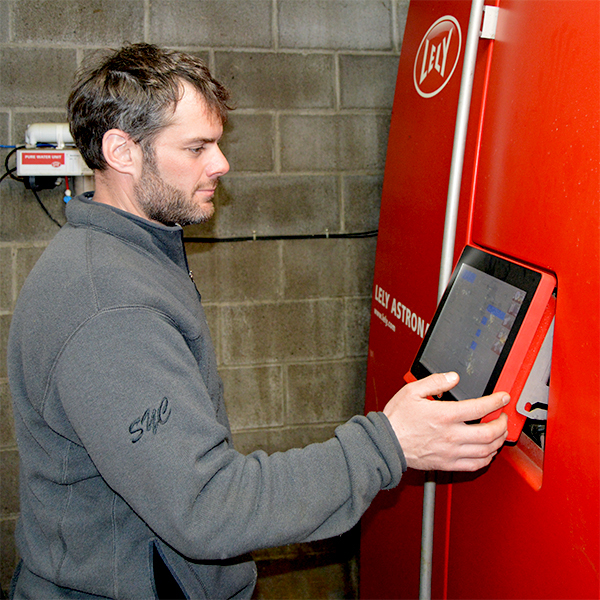 More than any other single advancement, however, robotic milking systems appear to be generating the most buzz within the industry. The systems do much more than milk cows. 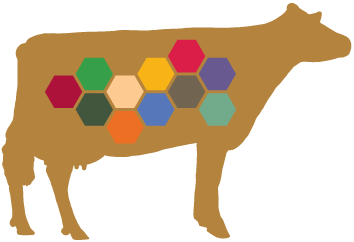 Through the use of software that reads radio frequencies from a sensor attached to a cow’s ear, or, in some cases, to a collar that cows wear, robotic milking systems identify unique characteristics of a cow when she enters the system’s milking area. Systems can then deliver a customized amount of feed based on a cow’s milk-production level, with cows that produce more milk receiving more of the high-protein, grain-based mixtures dairy farmers supply in the milking area than lower-producing cows. “Because the robot is feeding every cow for her production, she has a chance to really shine as an individual, versus being part of a group,” Mizee said. Next, while cleaning a cow’s udder, the robot utilizes electronic mapping to locate a cow’s teats before milking the cow with suction-cup-like devices. When milking is complete, the system will re-clean the udder and spray a mist over the floor of the milking area, which signals the cow to move on and let the next cow enter. In addition to feeding and milking cows, robotic milking systems also analyze each cow’s milk for production elements, such as fat and protein content, and for warning signals of health issues. If the milk doesn’t meet strict quality standards, it is immediately diverted away from storage tanks. Mizee also has an app on his smart phone that sends alerts when a cow is losing her appetite, resting more than usual, or engaging in other activities that indicate early stages of a health issue. The app, he said, helps him proactively treat cows before they get sick. Not all dairies are equipped to operate robotic milking systems. For one thing, the cost for a system can be prohibitive. Among several competing brands of milking robots, all of which have unique characteristics, prices range from $175,000 to $250,000, with an expected payback of five to seven years. Still, more and more dairies in recent years have come to realize the technology can work for them. “Since we put ours in, in our area of Western Oregon and Western Washington, there has been basically one robot install going in almost all the time,” Mizee said. “We are getting to the point now where there are two or three going in at any one time. “Part of that growth is that bigger farms have recognized the value of it. They are seeing value not only the labor savings, but in the fact that we are able to treat the cow better, and profit because of that. It is not just about quality of life anymore,” Mizee said. Dairy in Oregon began back in the 1800s, and there are more than 200 dairy farms of all different types and sizes in the state today. While many of the farms have changed and evolved over the years, most have been in the same families for several generations. These are some of their stories about where they came from and where they are today. Darleen Sichley of Abiqua Acres, a 100-cow dairy in Silverton, Oregon, wasn’t sure she wanted to return to the family farm after graduating from high school. Upon further review, however, the choice became obvious. 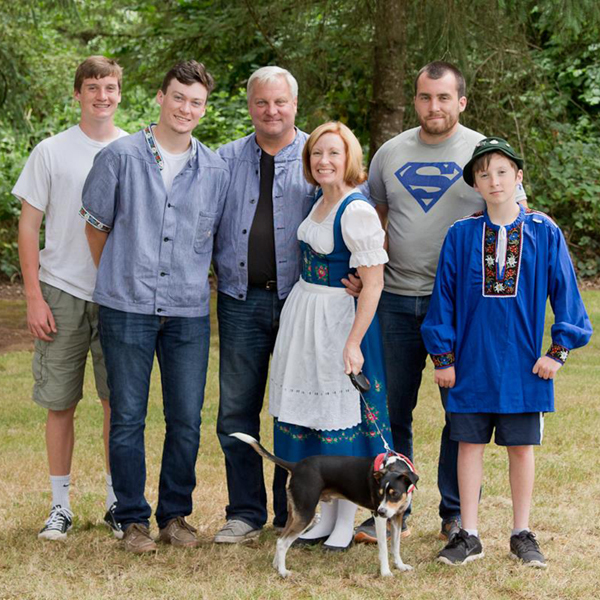 As a fifth generation dairy farmer, Bob Ross of Lee Valley Dairy, a 280-cow organic dairy on the Southern Oregon Coast, never doubted he was going to spend his life on a dairy farm. He admitted to being a little unnerved, however, after going into debt to purchase his dairy. 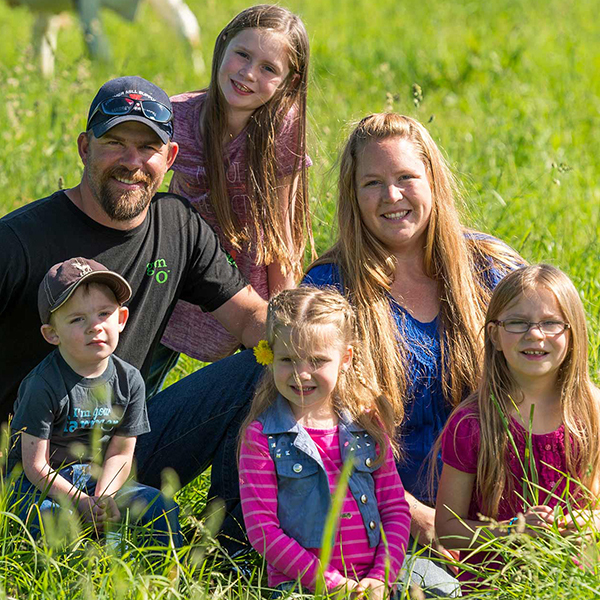 Louie Kazemier, who manages the 1,700-cow Rickreall Dairy in Rickreall, Oregon, grew up in San Diego, far from any dairies, but found his way into the industry through marriage. “I met Lori (Wybenga) on my 18th birthday,” Kazemier said. “We met in August, and by April my father-in-law offered me a job. Before that, I had never touched a cow in my life.” Kazemier has been dairy farming ever since. 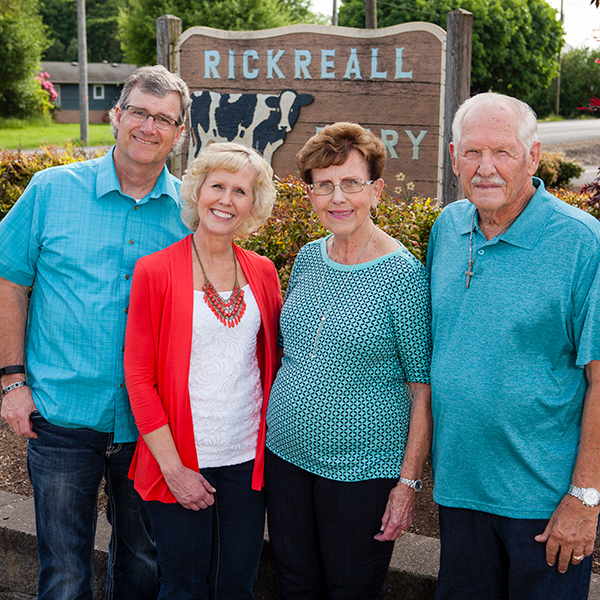 Notched into every Oregon dairy are backstories like these that help define an industry built on family values, work ethic and multi-generational sustainability. The stories resonate on small and large dairies, alike, and provide an authentic insight into an industry that is at once traditional and highly evolved. The stories cut through decisions to install solar panels, methane digesters and low-energy lighting systems to generate power and cut energy costs. The stories can be found resonating behind decisions to build sophisticated water conservation systems that capture and conserve water for multiple uses, such as a system Kazemier installed at Rickreall Dairy. And they are at the leading edge of decisions, like Ross’s to conserve wildlife habitat on his farm. “We’ve got some ponds that we’ve developed, some bird boxes, and we just finished a job where we set the fence back 50-feet from the ditch and planted a lot of native bushes, along with some blooming and colorful plants,” Ross said. 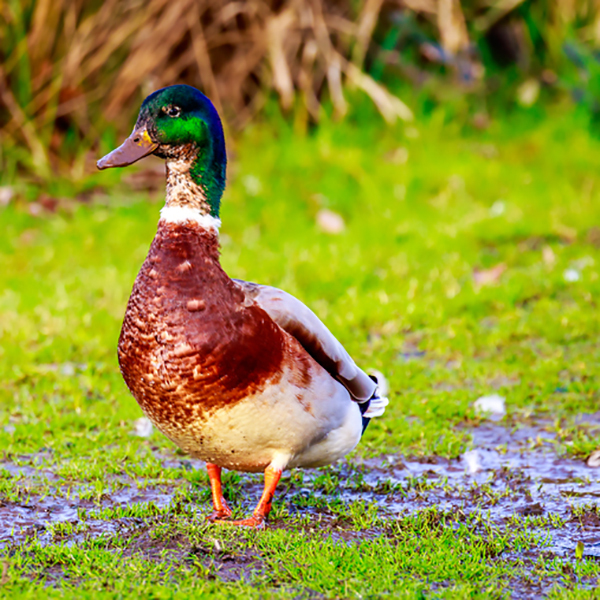 “The waterfowl love it. At the 25,000-cow Threemile Canyon Farms dairy in Boardman, Oregon, a full 23,000 acres, or slightly more than one-fourth the total farm, is dedicated to habitat preservation for four threatened species. The preserve, which is managed by the Nature Conservancy, has been used as a model by the U.S. Secretary of the Interior and others for how private interests and public agencies can work together for effective environmental preservation. The backstories can be found behind decisions to install cow comforts. 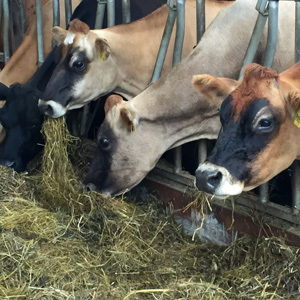 Oregon dairies work with veterinarians and nutritionists, Kerr added, who typically come out to farms twice a month, to ensure cows are healthy and well fed. 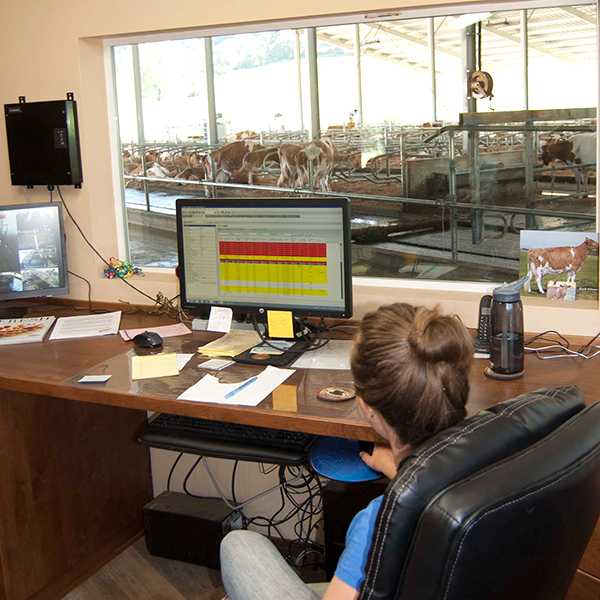 Threemile Canyon even hires an animal welfare advocate to stay on the farm for days at a time and issue quarterly reports to help the dairy see where it excels and where it can improve. And the farm hires an independent auditor to score the operation based on USDA animal-welfare standards. The farm, incidentally, consistently scores better than 95 percent, a mark rare in the industry, and recently notched one of the few 100 percent scores ever recorded. The stories are behind decisions to treat employees with respect, provide them with good pay and good working conditions. “Our producers are paying well above minimum wage, and treat their workers with respect,” Kerr said. “Without good employees, we would not have made it to where we are today,” said Kazemier. 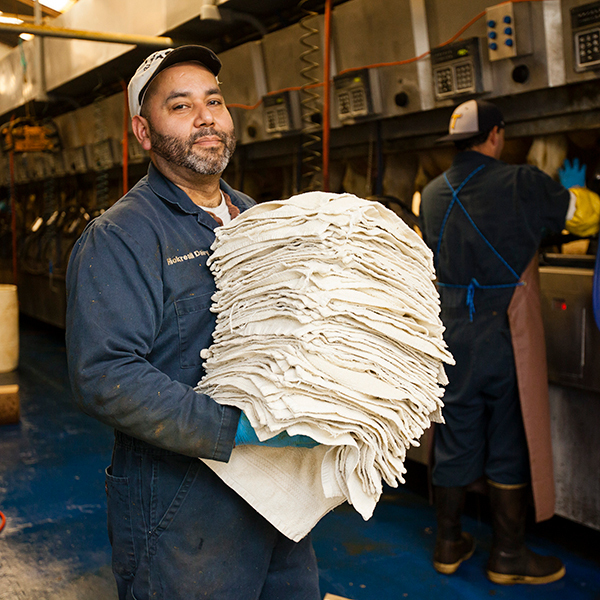 Oregon dairies are made up of thousands of backstories that help the industry embrace standards of waste management unheard of in other states. And all, she might have added, have backstories that resonate across generations. As an estimated 80,000 locals and tourists taste samples at the 30th annual Oregon Brewers Festival in downtown Portland this week, cows in Astoria will be enjoying the spent grains from one of the participating brewers. This story began more than 10 years ago, when dairy feed costs started soaring in the wake of the U.S. ethanol mandate. Dirk Rohne of Brownsmead Island Farm near Astoria, Oregon, had one of those “what if” moments. What if he could use a byproduct generated by the beer brewing process at nearby Fort George Brewery as feed for his 170 cow dairy? Rohne and Fort George began an arrangement that today is providing Rohne a valuable feed source and helping Fort George dispose of its byproduct in an environmentally friendly manner. 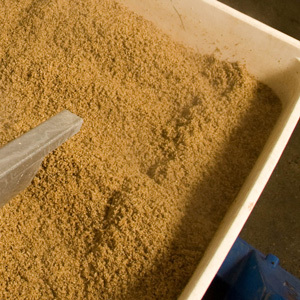 Use of spent grains as dairy feed, although a practice dating back decades, had a slow start among Oregon microbreweries, primarily because the smaller breweries weren’t making enough beer for dairies to justify hauling it to their farms. Today the dairy hauls between forty and fifty tons of spent grain a month from the downtown Astoria brewery to the dairy in a one-ton truck with a triple-axle dump trailer that Rohne purchased solely for hauling the spent grain. Spent grains bring several positives to a dairy cow’s diet, Swearingen said. “Their number one characteristic is they are relatively high in energy, and they are very digestible,” she said. “We feed alfalfa hay and corn silage and grain during the winter months when we are unable to pasture our cows,” Rohne said. “Those are very dry, so when you have that spent grain, which is very wet, it makes the consistency more palatable for the cows. Dairy consultant and nutritionist John Rosecrans said he’s been using spent brewers grain in his practice for decades. Before Oregon became a leader in the microbrewery industry, dairies would purchase the feed from Henry Weinhard’s Brewery in Portland and from Olympia Brewing Company in Tumwater, Washington, among others brewers, he said. “There were several brewers here back thirty, thirty-five years ago, and it doesn’t matter if a brewer is big or small, livestock is far and away the best use for that brewer’s grain,” Rosecrans said. Rohne even takes this environmentally friendly use of spent grains to another level, turning his dairy’s manure solids into compost and selling it back to the local community as fertilizer.